There are systemic inequities in education that disadvantage children from certain regions or of certain ethnicities wanting to study science at university. We wanted to create a system of community engagement that would encourage more students from these backgrounds to consider studying science. We learned a great deal from the engagements we had. We hope that future iGEM teams can learn from our work and make progress with our model for their human practice component. New Zealand is a small place. With only 4.7 million people, the capacity for a small group of people to affect change is much greater than in larger centres, as we're told many iGEM teams have experienced. This made it all the more important that we chose a task where we could capitalise on this ability to make a difference. We considered challenging public perspectives on genetic modification. We considered surveying perspectives on community views on controversial topics within science. We considered running workshops in the community to explain our work. Fig1. shows just some of the fantastic students we met through our human practice component of the iGEM competition. In the end, we decided to look broader, at what would make the largest impact with what little resource we had. By visiting local high schools we could change public perception of science at the coal face. We reflected on Data from Statistics New Zealandwhich showed that shows economic deprivation is highly correlated with the level of education students leave with. We chose to develop a new model for community engagement, with the goal of increasing the number of students interested in studying tertiary science. Our thoughts were that if we could create a way to inspire more students into tertiary science, not only would be be using our limited resources to affect the largest amount of social change but also we would be educating the community about our project in a direct way. We were inspired by the work of last year’s iGEM who received feedback form students that the thing they thought could be improved the most in their presentations was the interactivity. We were also inspired by Rotary Science and LENScience, both ways students can experience tertiary science during their high school years. Our model differs from these by being run by undergraduates rather than Postgraduates and Academics. We hypothesised this would provide an increase in student engagement. Our model also differs by being conducted out in the community. We hypothesised we could have an increased reach by bringing the science to the community centers. Not all schools can afford to send their kids to these sessions, so bringing the science to them seemed logical. Fig2. 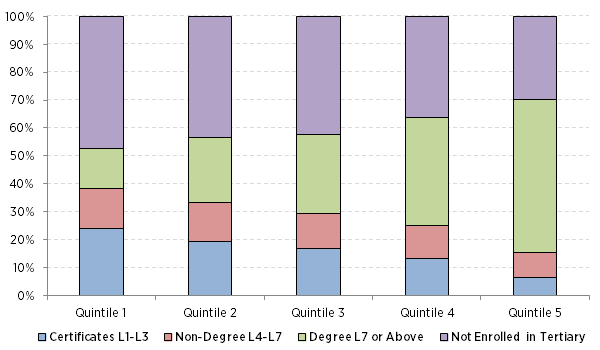 is a figure from Statistics New Zealand showing the correlation between deprivation (Quintiles: 1 is most deprived) and proportion of students in differing forms of education. Fig3. 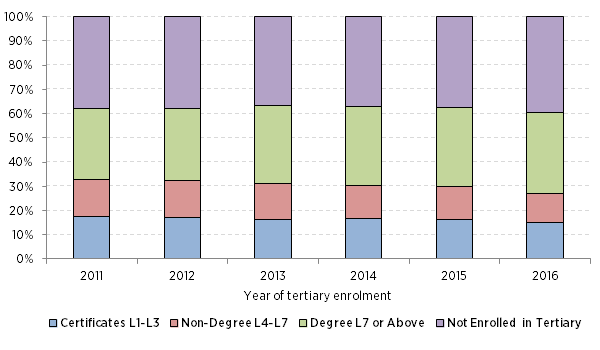 is a figure from Statistics New Zealand showing the minimal change in tertiary enrolment in the last 6 years. Fig4. This year’s iGEM community engagement team preparing for the lab sessions at Papakura High School. Fig5. 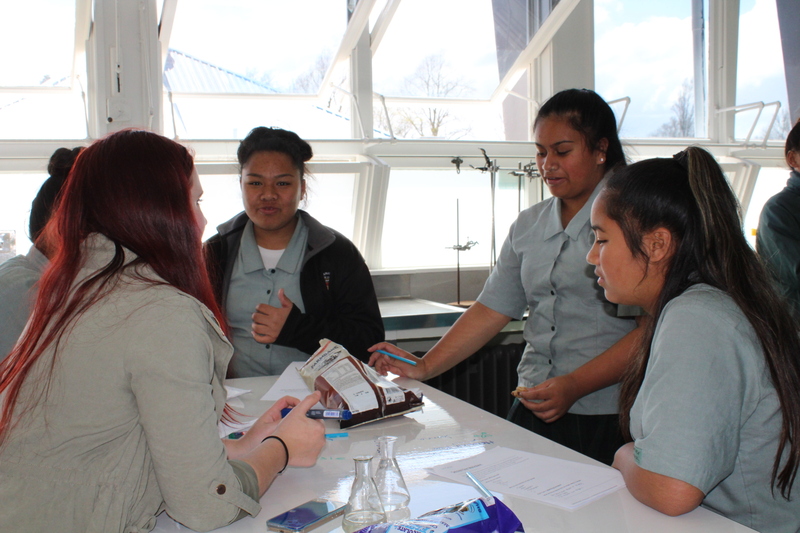 shows some of the students at Papakura High School discussing microbiology with a member of our community engagement team. Fig6. shows a general biology discussion occurring at the end of the first lab session. 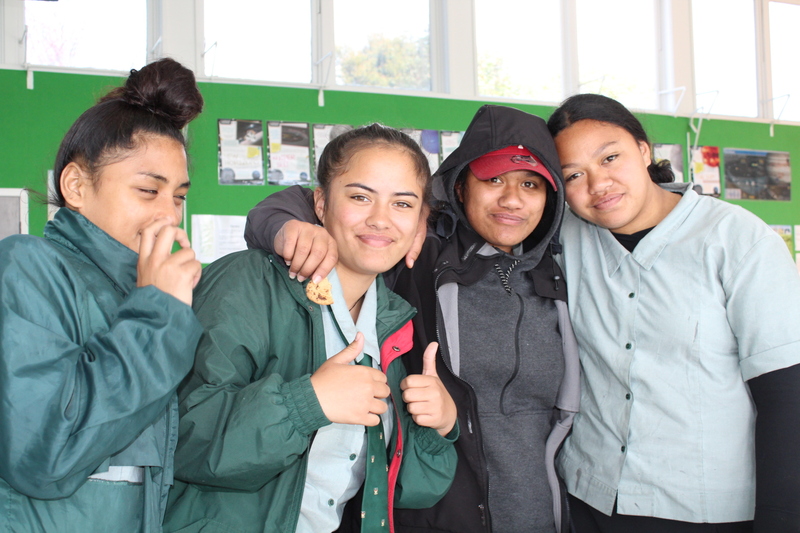 We conducted the pilot study of our model of community engagement at Papakura High School. This would not have been possible without the generous support from the staff there. We ran a workshop with the students taking pre-prepared agar plates and using q tips to test different areas and plate what they found. Samples included keyboards, phones, fingernails, etc. After the plating, students went through a small exercise learning how bacteria and fungi grow, and discussed in small groups what they thought we would see. Towards the end of the session the community engagement team provided some food and opened the discussion to topics in biology the students wanted to know more about. During the break between sessions, plates were incubated and students worked on a worksheet at home. For the second session, students were presented with their plates, still unopened, to inspect. Students broke into groups and compared the differences in colony number, morphology, and size. Many of the students were able to identify fungi from bacteria and were able to find similar colonies across multiple plates. Students went through a worksheet with the undergraduates leading the lab. Towards the end of the session, the students leading the lab opened discussion to what university is like. The session ended with a feed and the students leaving for their lunch break. 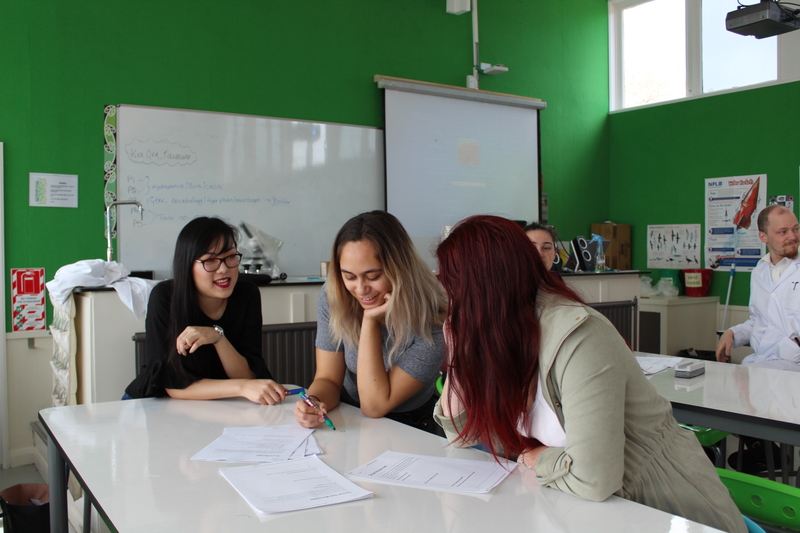 All sessions were designed by the undergraduates with input from academics from the University of Auckland School of Biological Sciences and teachers from Papakura High School. Sessions were designed around the PC safety containment system outlined in the safety page of this wiki. To complement our workshop at Papakura we also ran a more traditional community engagement model at Onehunga High School. This involved a lecture style talk with the year 13 biology class who were studying the impacts and ethics of selective breeding vs GMOs. As people who deal with the ethical dilemmas of GMO on a regular basis we were ideally positioned to share the latest opinions with the students at Onehunga. By the end of the session the students were engaged in the lecture asking questions we had never considered in the past such as the wider impacts of GMOs upon natural evolution. Importantly the negative opinions around GMO appear to be fading in the younger generations with 100% of the class agreeing they would prefer a GMO over heavily sprayed crops. 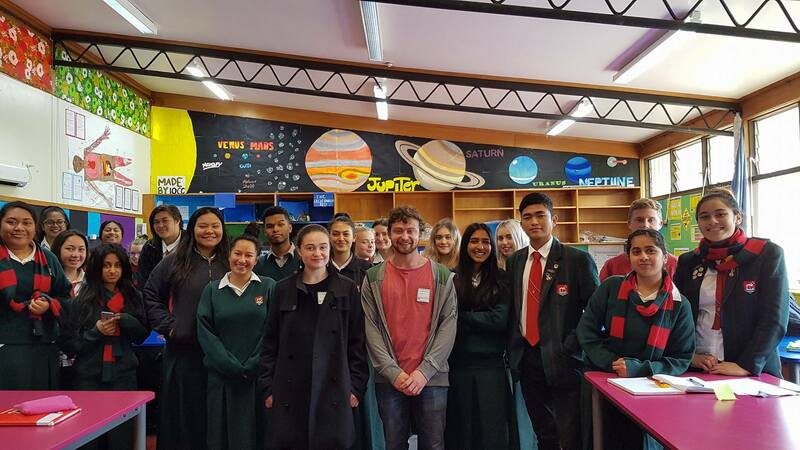 The lecture was a huge success with Onehunga inviting future IGEM teams to return to present on issues in the future. Fig7. shows two members of SECA NZ with the students from Onehunga High School they presented to. We received invaluable feedback from the students and staff from Papakura High School and Onehunga High School. This will allow future teams to build on the work of the community engagement team this year. For the sessions ran at Papakura High School, the feedback was overwhelmingly positive. Students were passionate and some of the younger students said they looked forward to us coming back next year. One of the students from the sessions in year 12 decided to consider pursuing sports science after we visited. 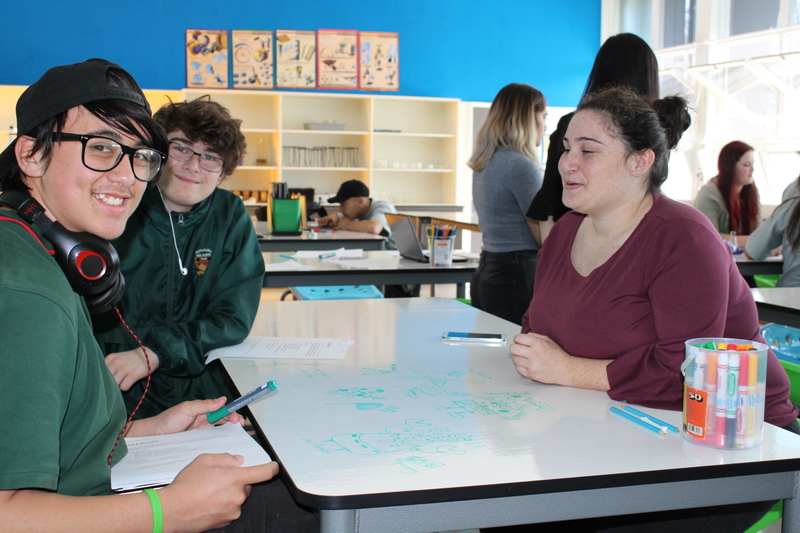 The teacher we contacted and had help conduct the sessions with at Papakura high school also invited us back for next year as she wanted us to connect with the students again. The students at Onehunga were similarly engaged and positive. The students were keen for discussion and had lots of creative thoughts about biology and their role in discussing science in the future. They wrote a beautiful piece which you can find here http://my.ohs.school.nz/news/general/genetic-modification.html, and expressed that they would like us to return. It was awesome to see so many students excited by science. When we talked with the students we found out that they were not taught practical science until they were year 11 or 12. This had lead lots of the students friends to not take science at higher levels because they could not see the practical relevance, they could not see how the knowledge could be turned into a job, or they just found the lack of physical interaction boring. We would therefore like to target younger groups with this intervention, looking at 14-16 year old students, on the cusp of making those important decisions on which subjects to advance. We also found out that there was little knowledge on the different areas of science. The students thought that if you were to pursue science, it was towards a career in nursing or going into healthcare. This matched discussions we had with members of our cohorts, suggesting that specialist degrees like physiology, ecology, or biomedicine are not presented as options to students. While this makes sense, as with the world being rapidly changing the degree and career options for students, it presents a unique opportunity for future teams to become advocates for these specialist degrees. We found that we could relate to students when we discussed elements of community that were familiar to them. Finding common ground was the most effective way of connecting with students. This is not a novel idea but it is an incredibly important one, especially when part of our role in these sessions was to become role models these students could see themselves becoming. By finding those points of common ground, we suspect that the students could more easily see themselves studying science. The students were more engaged with the practical work and discussions than they were with the presentations and worksheets. Students didn’t mind a short presentation but the best ideas came out of the discussions that occurred after. We would recommend to future teams to tailor the model of engagement to keep it as discussion oriented as possible. Large scale and small scale discussions each had their strengths and drawbacks. It may be worth conducting further analysis to find optimum group size and makeup to maximise engagement. While it was difficult to compare models of engagement, it was clear that the more interactive we made the session, the more the students engaged and learned. It is likely that different models work best for different students meaning certain schools may be better suited to one model or another. To counteract this we suggest future teams come with a composite model, engaging with students through discussion and physical interaction. iGEM teams have an enormous opportunity to affect social change within their community. We would like to see more teams take on the challenge of this form of community engagement but we know that starting from scratch is hard. We have provided all our resources at the bottom of this page, including worksheets, sessions plans, and slides. We would love to see future teams iterate on our model of community engagement, reviewing it with the feedback they receive from their communities and making this model better. In the future, we would love to see a network of iGEM community engagement teams with a focus on having model of human practice which creates the most social change.We look forward to seeing what you can come up with. We are proud of our ability to make a difference in our community.